Welcome to the world of irresistible young adult fiction! Every month, our team takes a look at what books are being published—and how early readers are responding to them. We use this information to curate a list of soon-to-be-beloved favorites, from contemporary tales set in high school to fantasy epics in realms of magic and mystery. For August, we've got four buzzy debuts, plus a powerful tale of friendship and first love from the author of Pointe. Add the books that catch your eye to your Want to Read shelf and let us know what you're reading and recommending in the comments. When her stepbrother, Lionel, is diagnosed with bipolar disorder, Suzette rushes home to support him. Not in her plan? Falling for the same girl Lionel loves. The wood is poisoned, and something sinister and supernatural lurks within. After her father goes missing, Winter teams up with a stranger to search for answers. Struggling to cope with a recent tragedy, Bee loses herself in the Color Project, a charity organization that plans weddings and funerals for families in need. Genie wants to get into a good college, but her bizarre classmate Quentin wants her to focus on saving the world from the demons that just showed up. Chaos ensues. Outcasts Molly and Pepper attempt to solve a decades-old mystery: Who killed resistance fighter Ava days before the destruction of the Berlin Wall? In a secluded seaside town, sisters Iris and Malina keep their magical abilities a secret—until a brutal attack and an ancient curse bring the girls out of hiding. Plus we've got a fan Q&A with Wonder Woman: Warbringer author Leigh Bardugo and recommendations from Katharine McGee, author The Dazzling Heights. What recent YA book would you recommend? Share it with us in the comments! 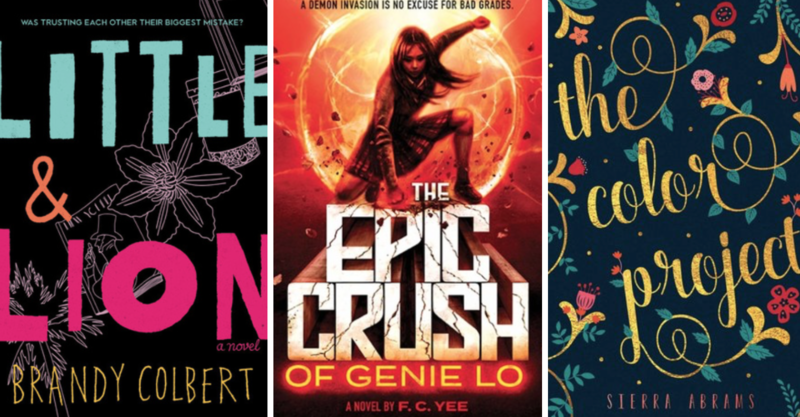 Did you know we have a monthly YA newsletter? Click here to sign up! Congratulations to the Winners of the 2017 Hugo Awards! would love to read them!!! !